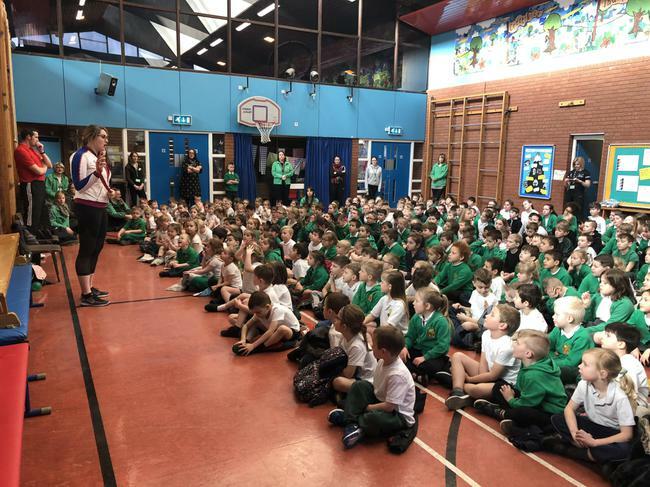 Springwood were delighted to have Olympic bronze medalist Cassie Patten to our school. 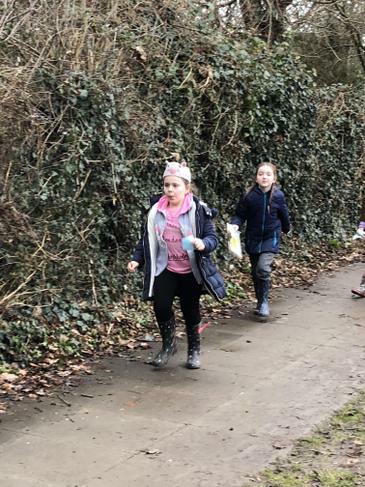 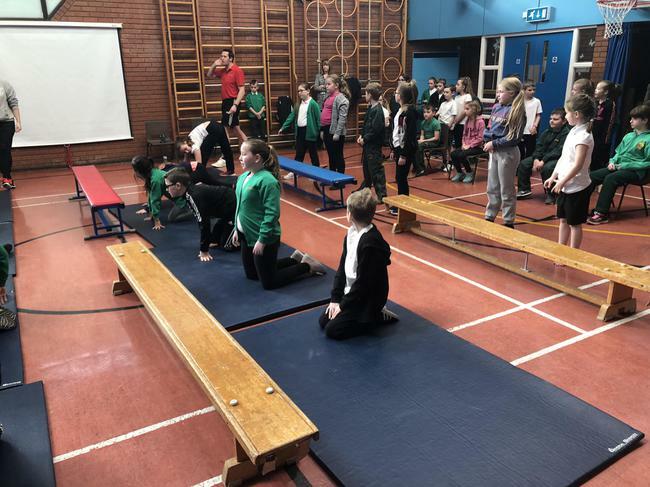 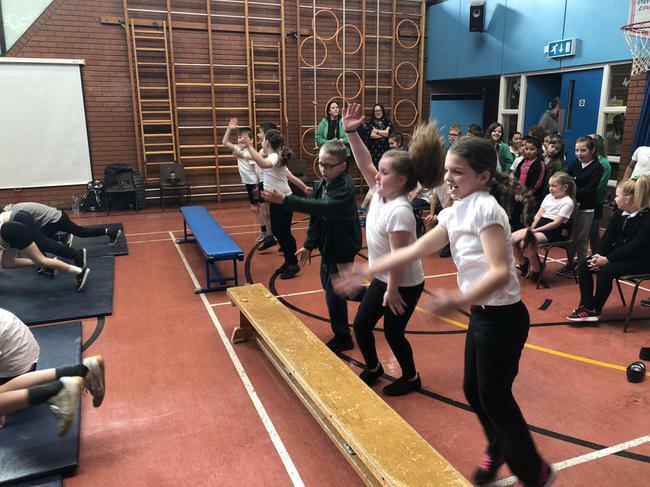 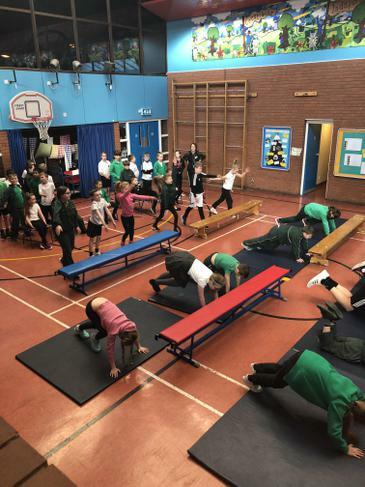 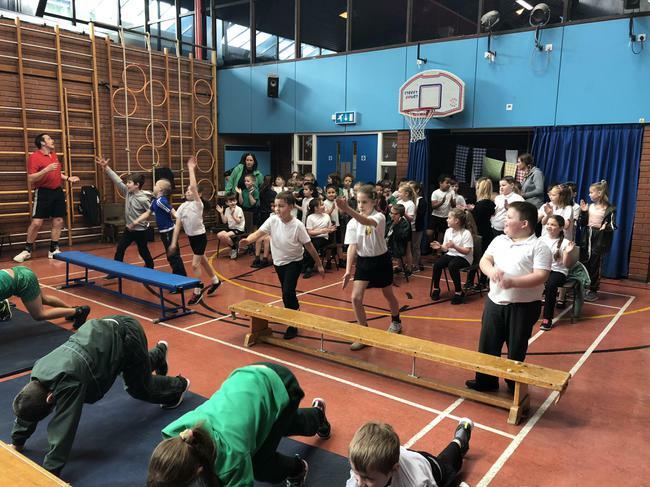 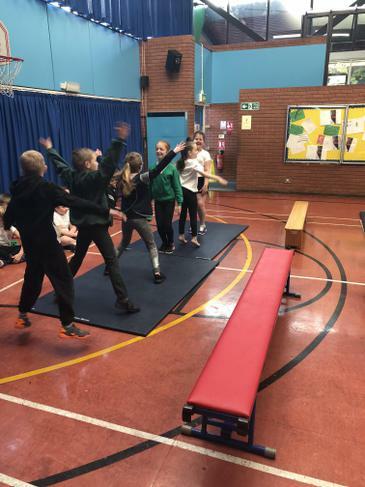 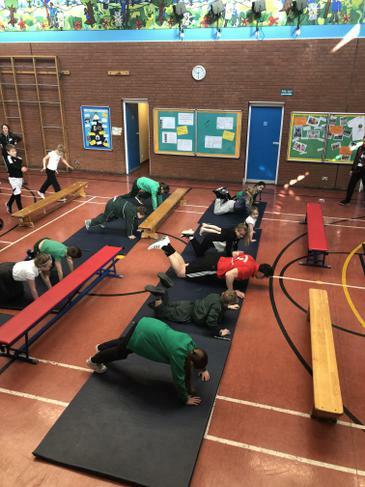 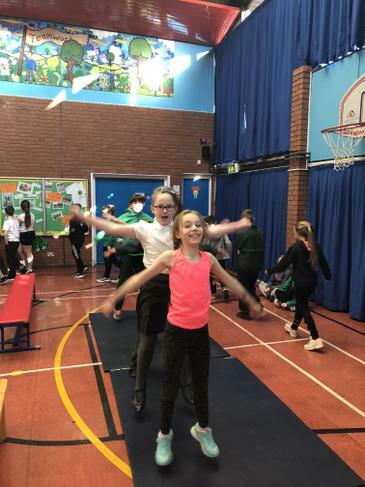 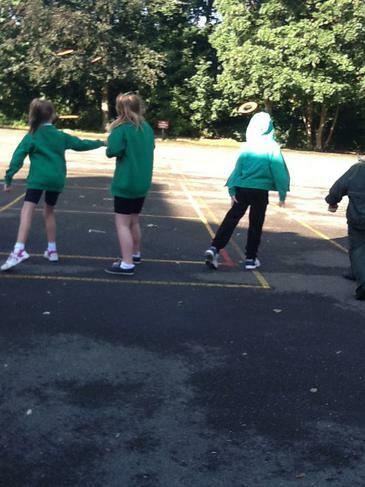 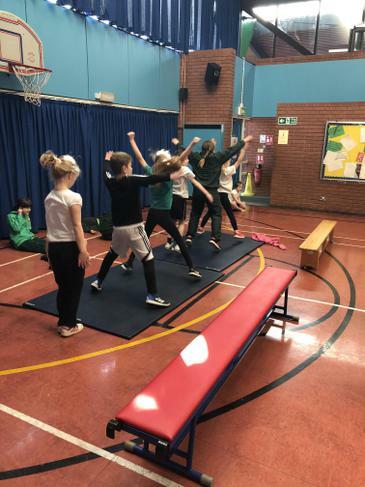 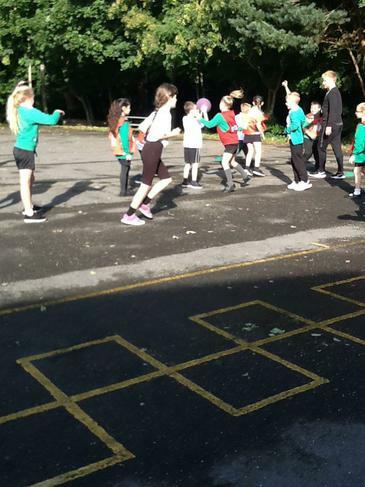 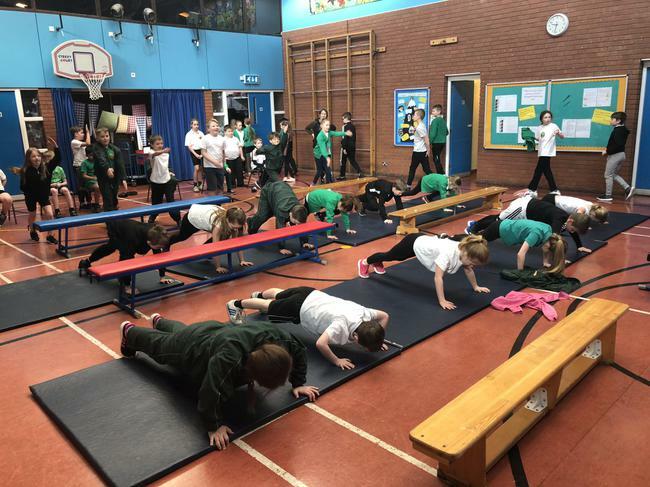 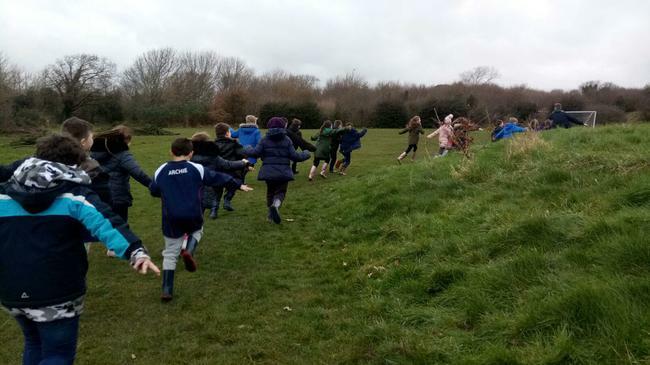 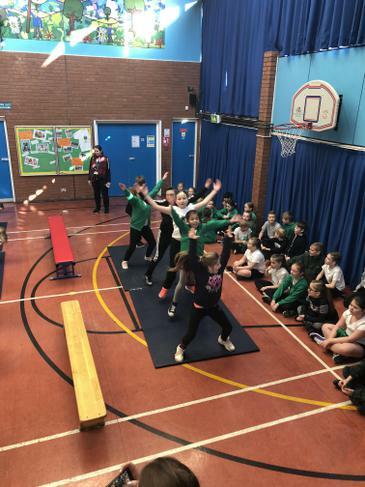 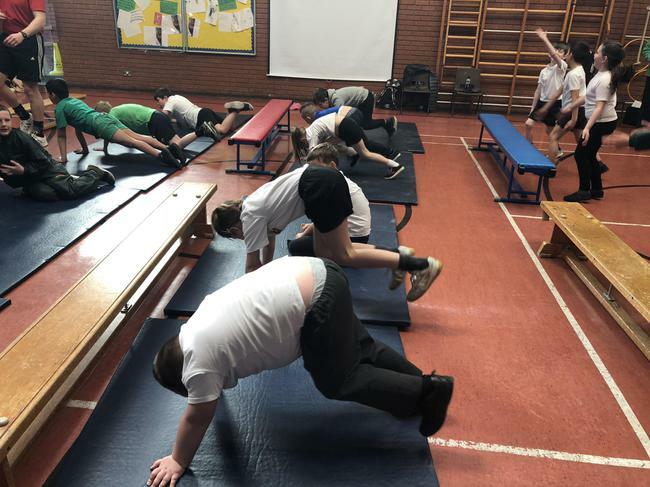 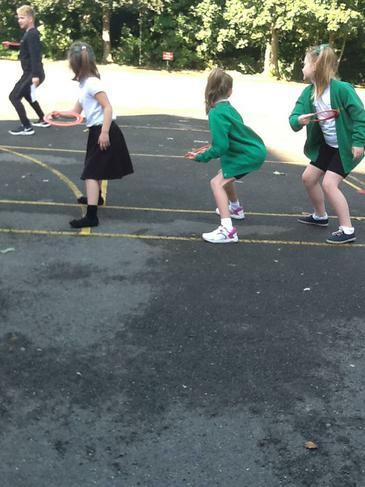 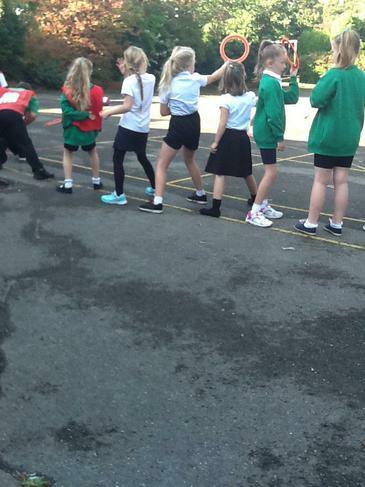 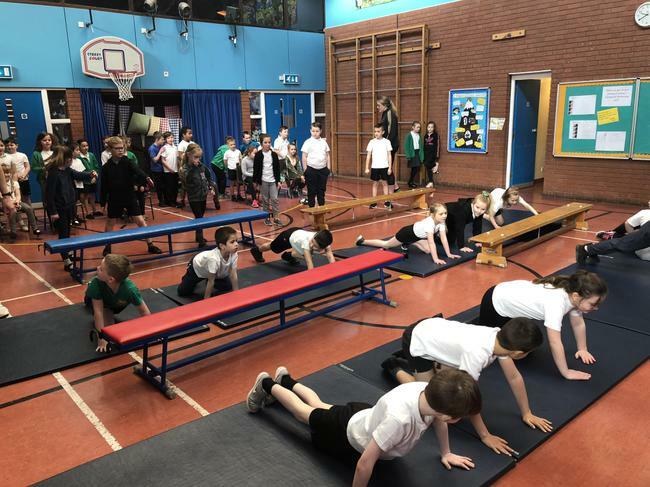 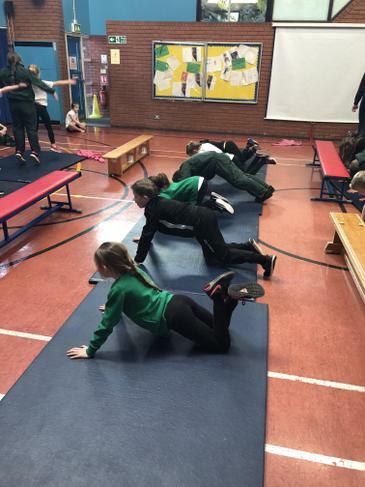 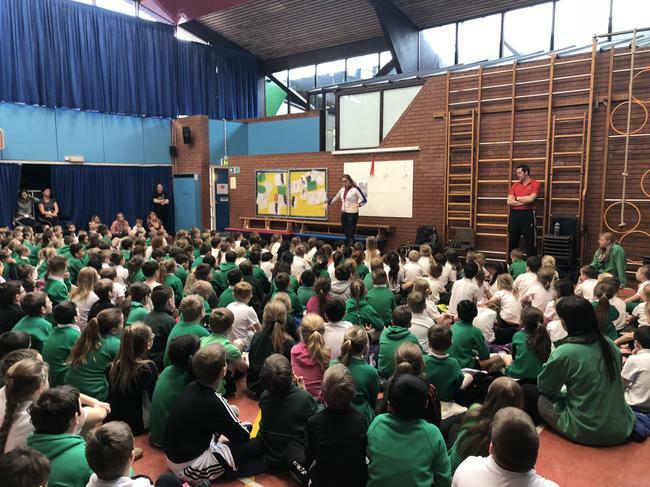 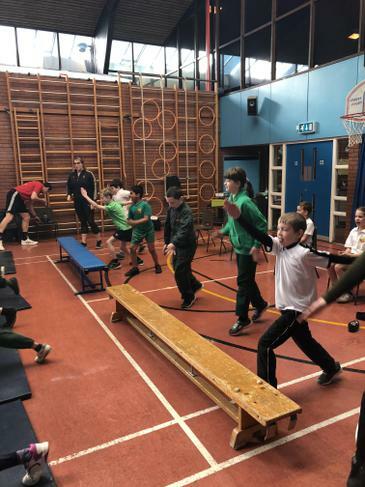 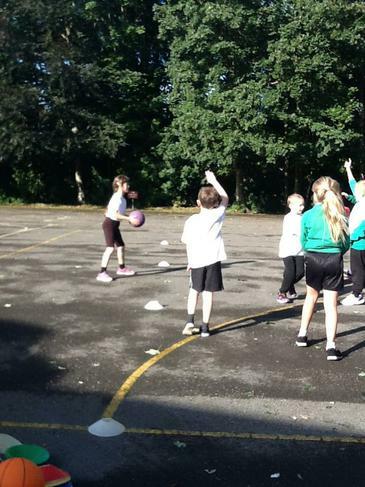 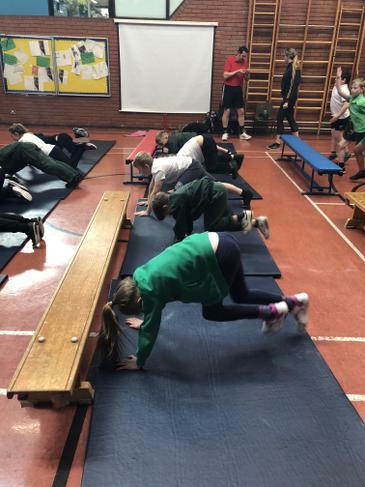 As part of a scheme to gain money for school and British athletes, the children all took part in a sponsored circuit based on olympic training exercises. 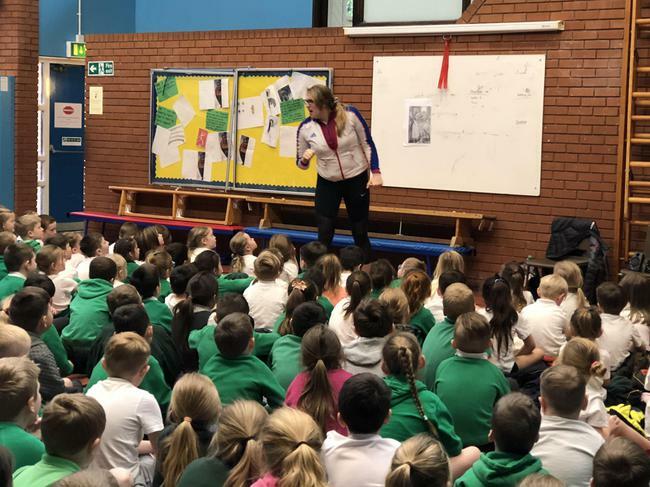 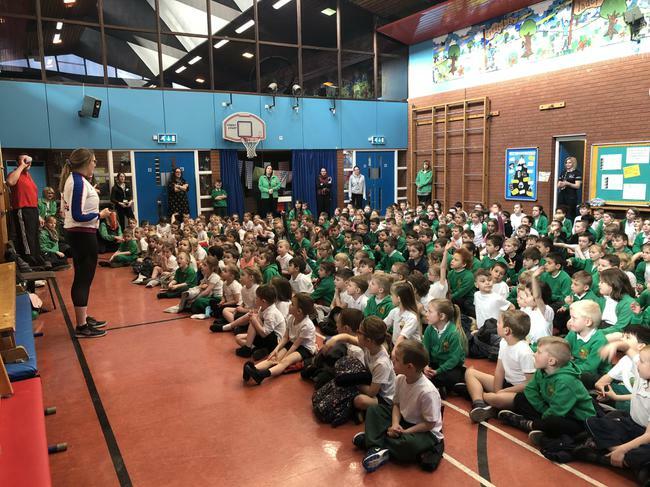 After the circuits, all children were invited to a special assembly where they got to see Cassie's medal and ask her questions about her career. 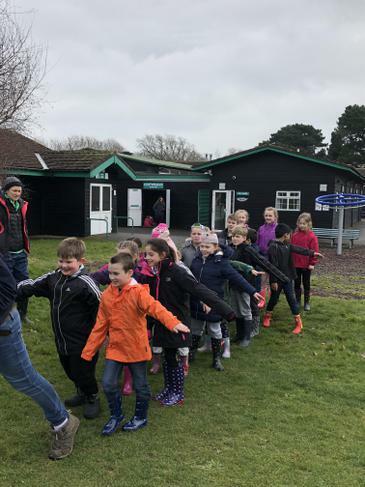 After unpacking our belongings and settling into life (for the next few days at Stubbington) we were straight onto the activities. 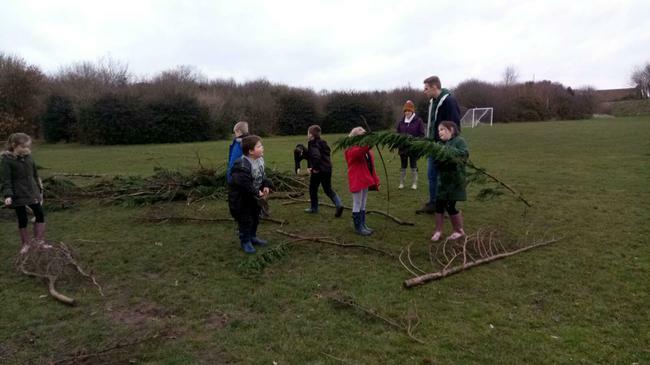 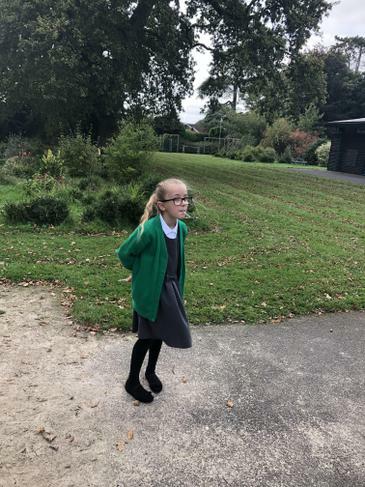 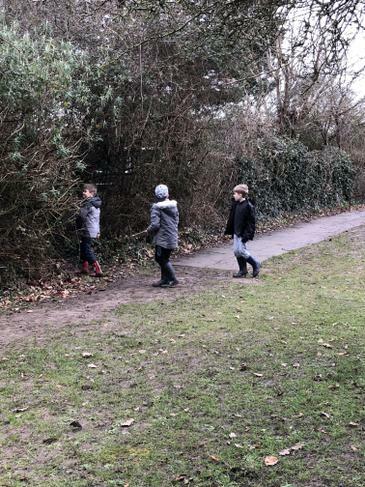 The children had to use an ordinance style map of the Stubbington grounds to locate different clues around the grounds. 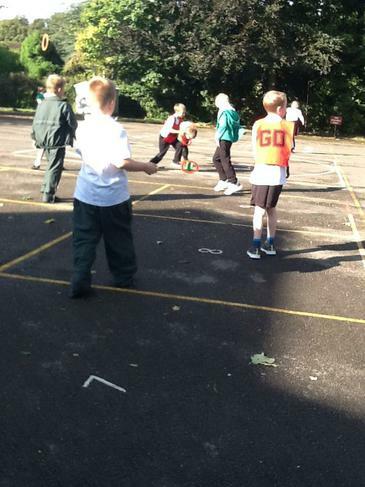 Working in small teams, they had to negotiate a complex map, out of bounds areas as well as compete with other groups. 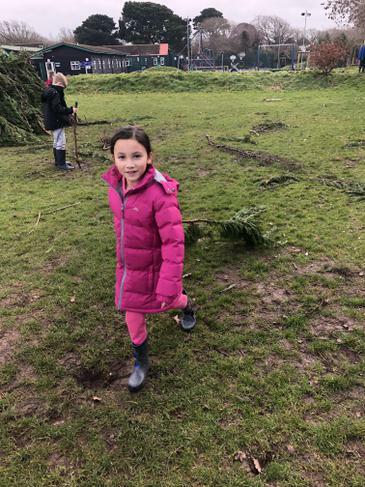 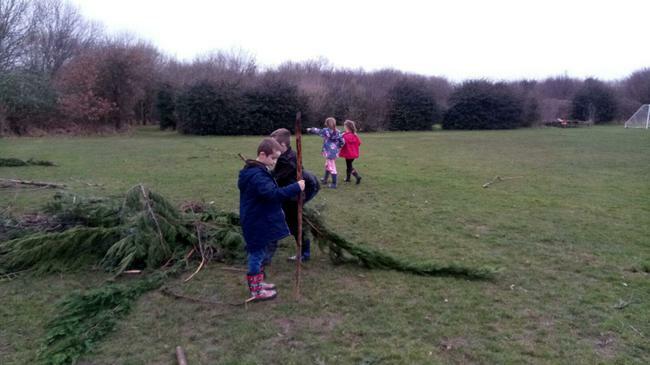 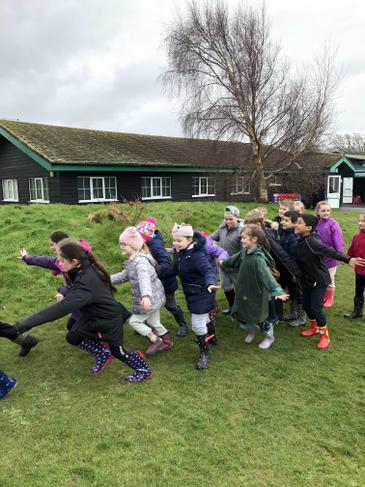 The children were excited about being able to explore the whole of the grounds. 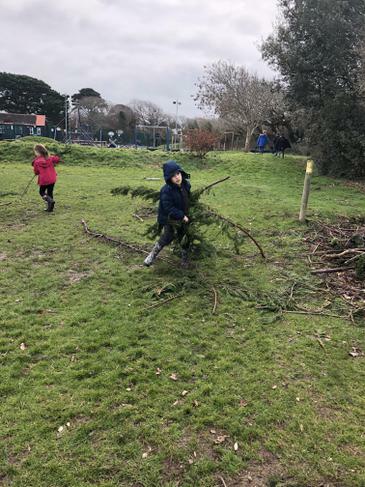 After taking off on an aeroplane to an exotic beach holiday to Australia, we unfortunately crashed into the ocean but found safety on a desert island. 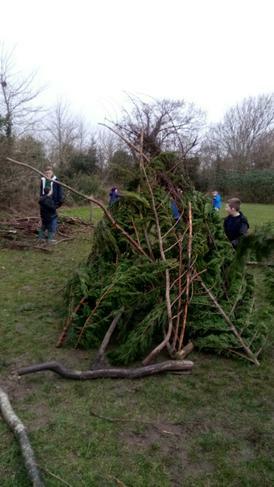 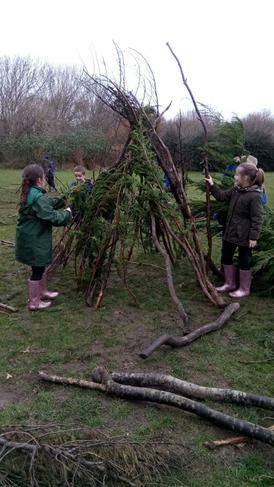 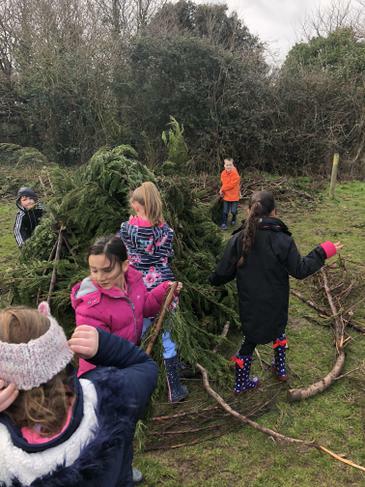 Our task was to build a shelter that would protect us from wind, rain, predators but would also fit in all our team members. 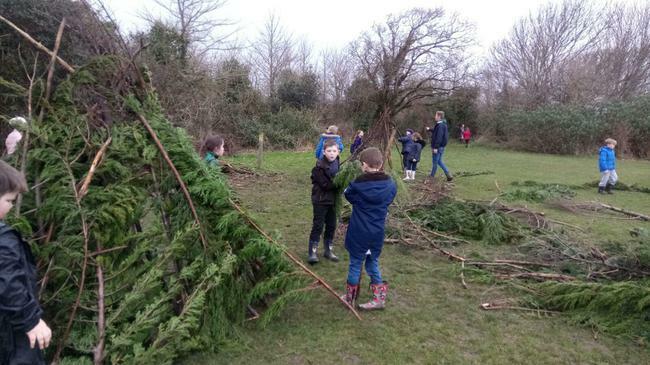 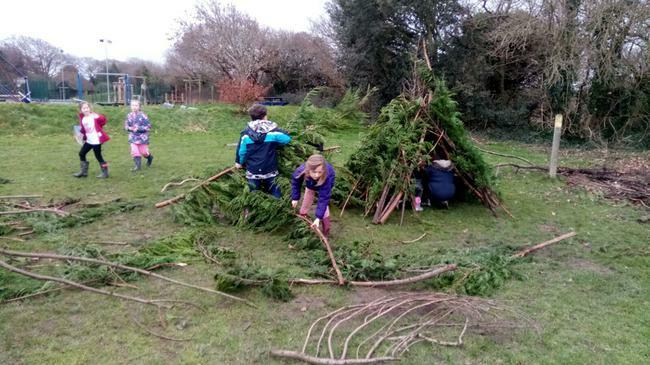 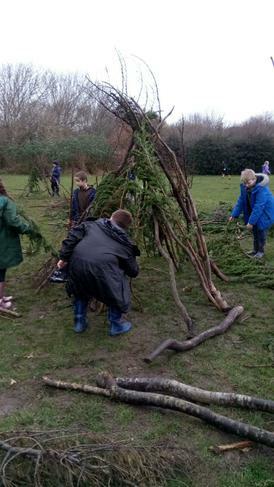 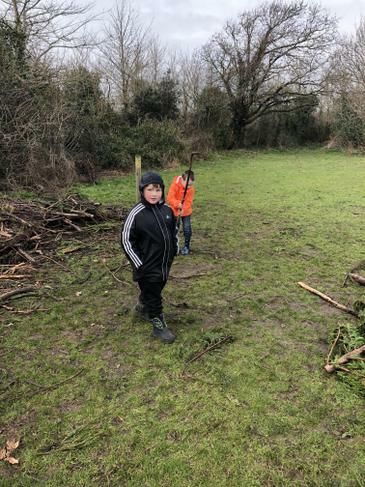 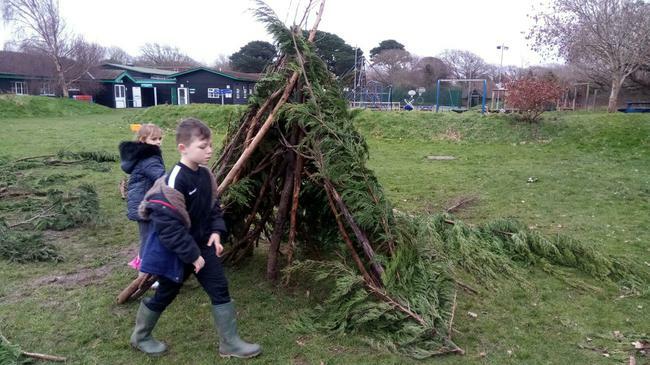 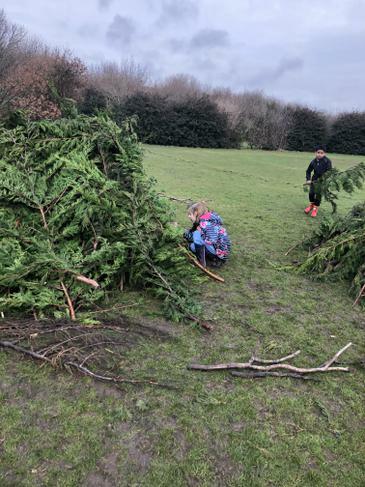 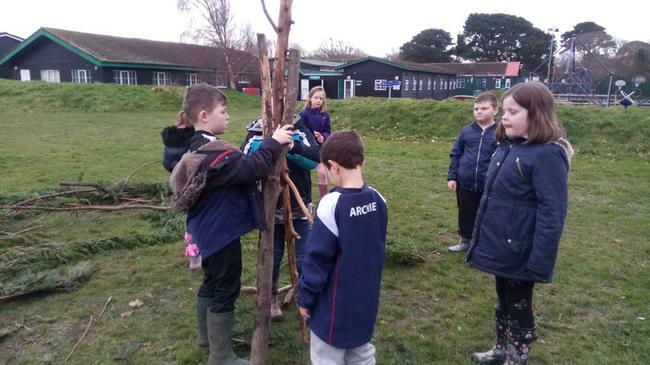 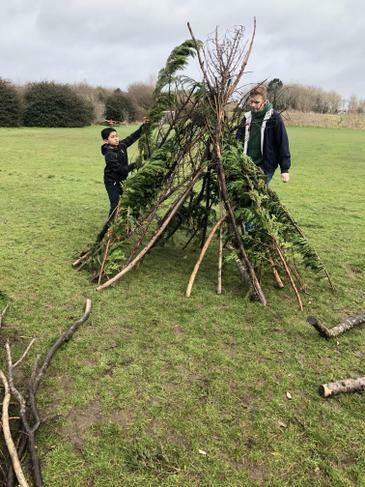 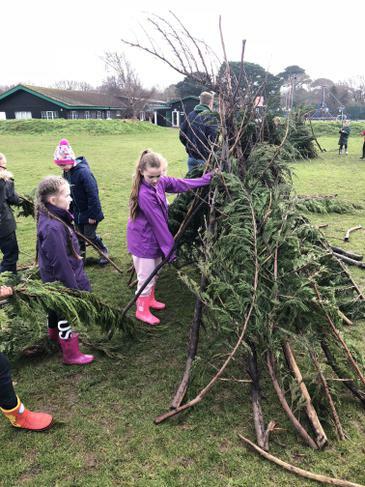 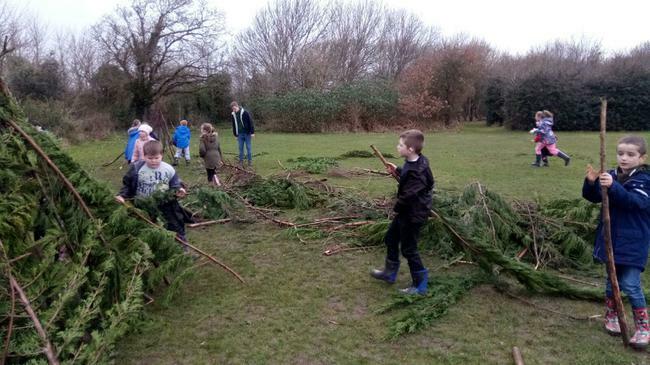 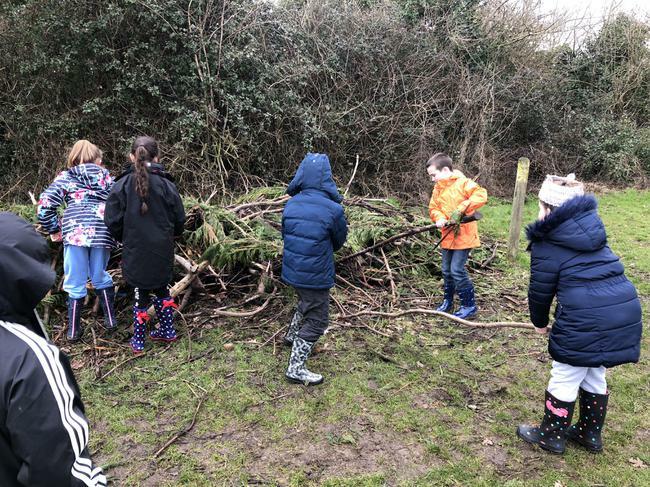 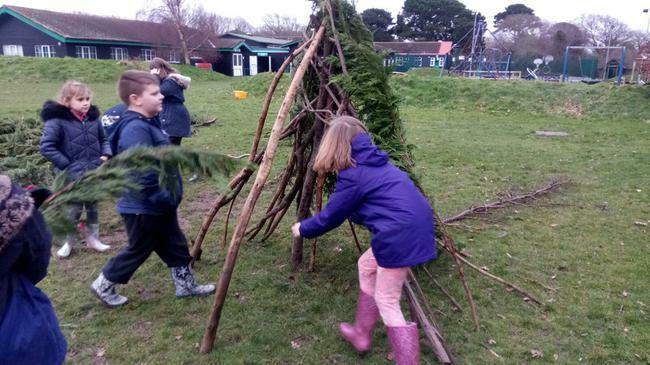 Once the shelters were built we were able to get inside them and see if they would survive after 'Storm Curry' (a few of the children got wet!). 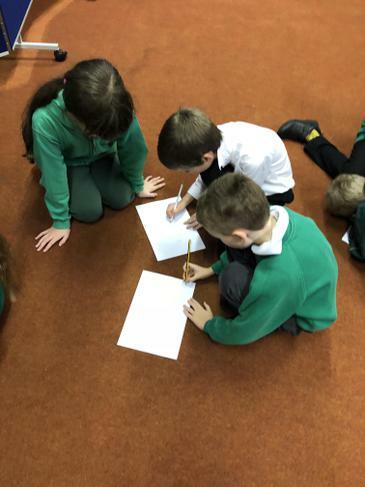 The children put themselves into role of villagers in the Viking times and had to describe to their village the invaders trying to attack their monastery. 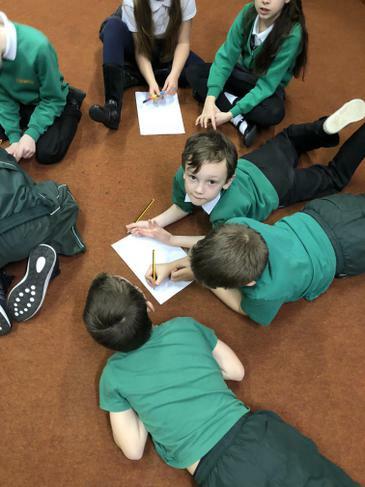 We learnt that 'Vikings do not in fact have horns on their helmets' and the Vikings came to Britain because they knew the monks did not know how to fight. 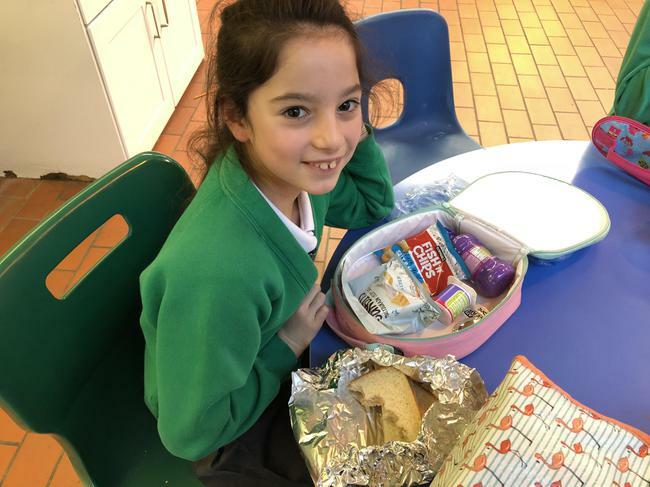 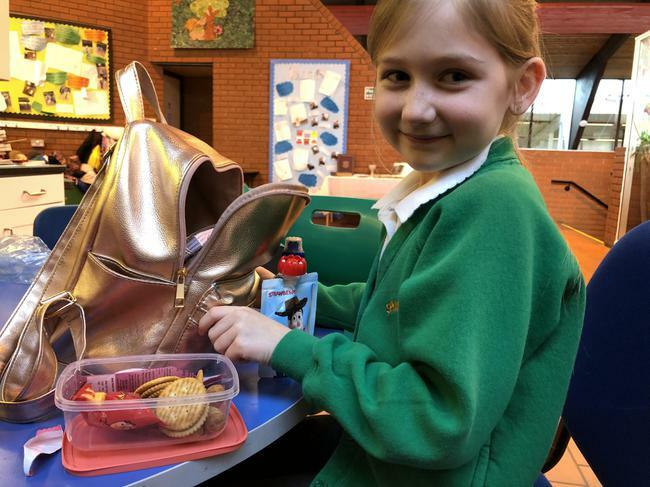 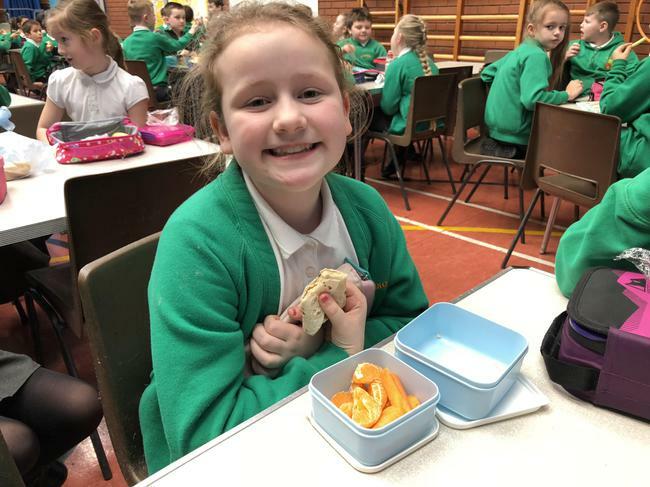 Year 4 have been looking at what is in our lunchboxes and considering 'What makes a healthy lunch'. 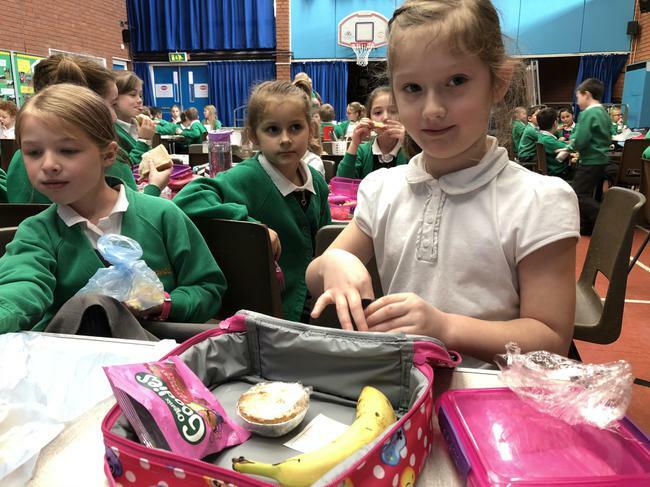 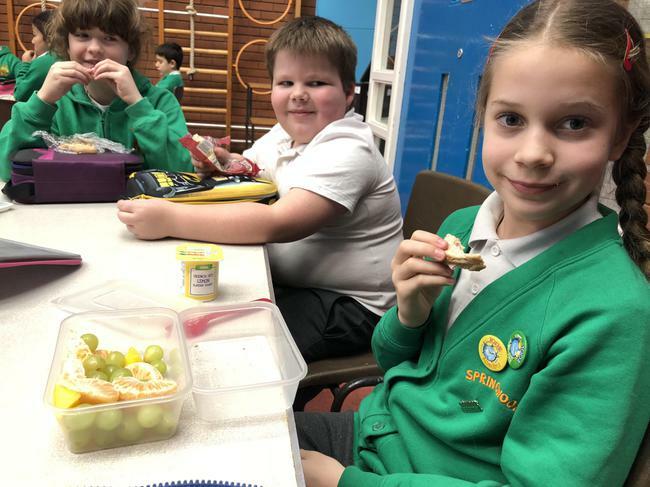 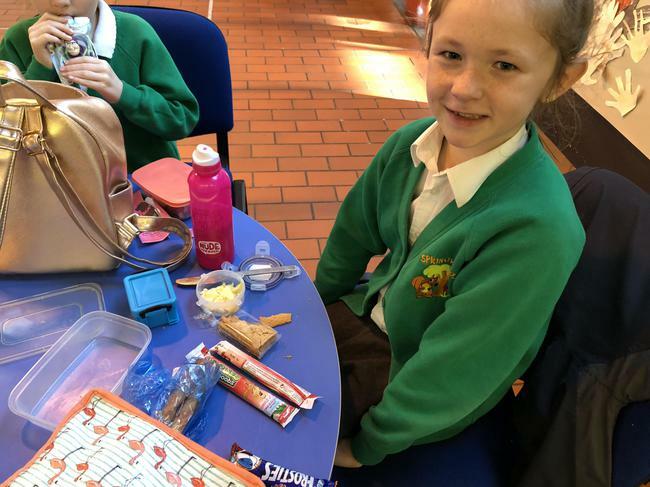 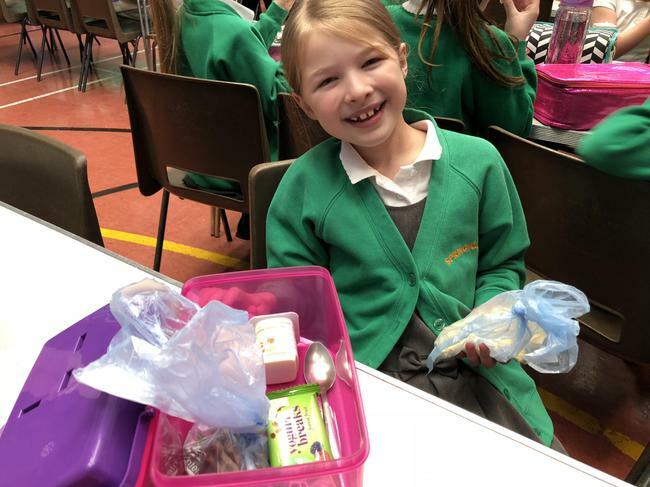 Some of the children who are enjoying hot dinners have enjoyed the new 'blue option' from the Hampshire menu. 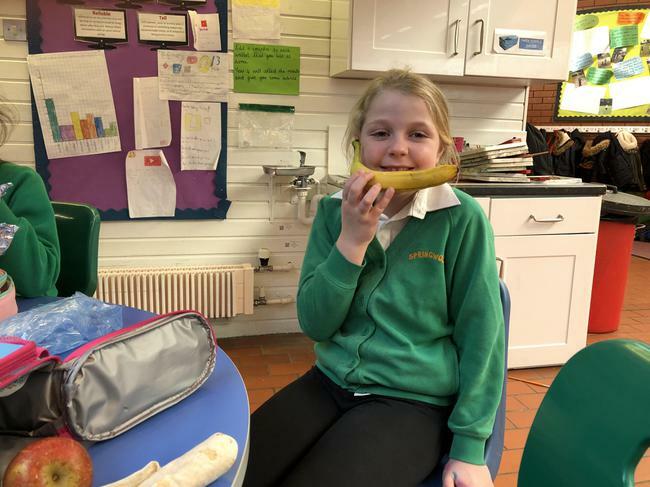 "My favourite blue dinner is the sausage on Tuesdays as it is like having a breakfast at lunch time." 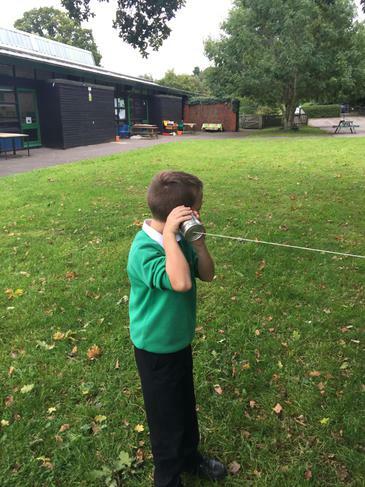 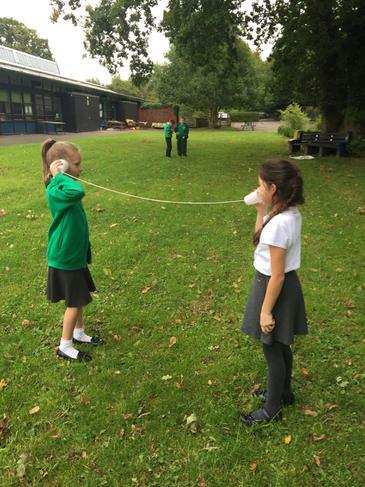 Year 4 have been looking at sound as a unit in Science. 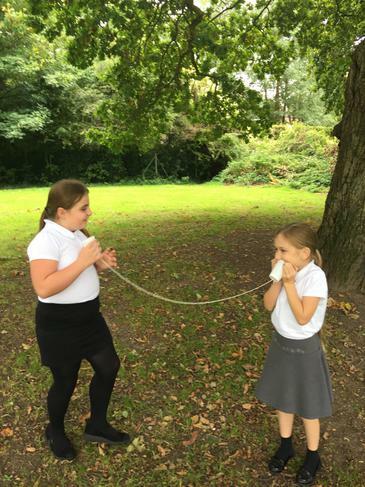 They have understood that sound is a product of vibration and have tested this theory by making string telephones. 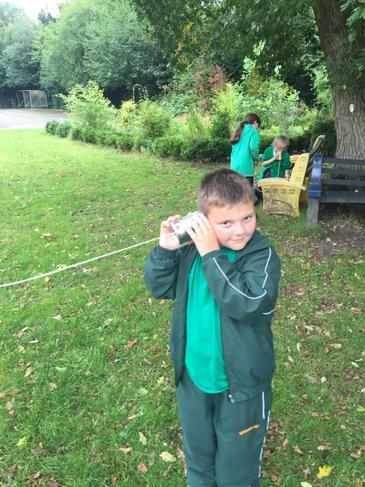 The children understood that the vibration passes through the string into our ears. 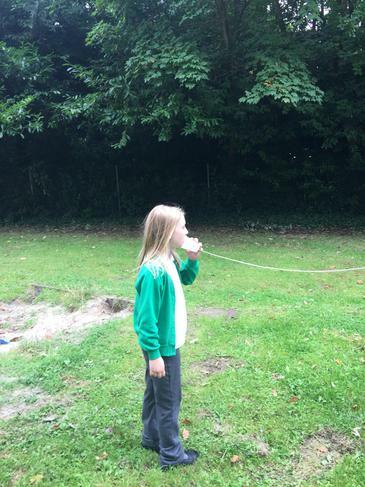 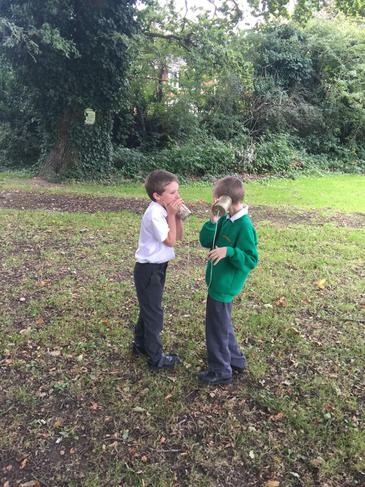 We also changed the pitch and volume of sounds when we made straw oboes. 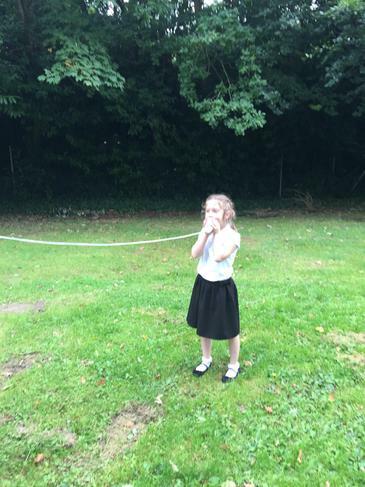 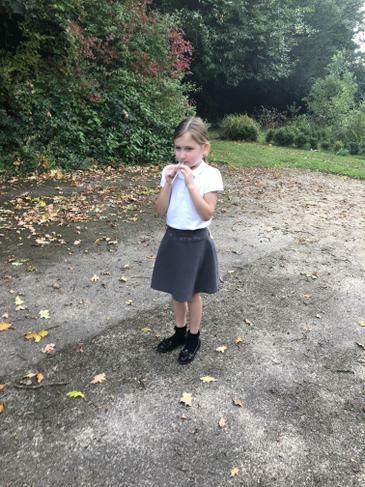 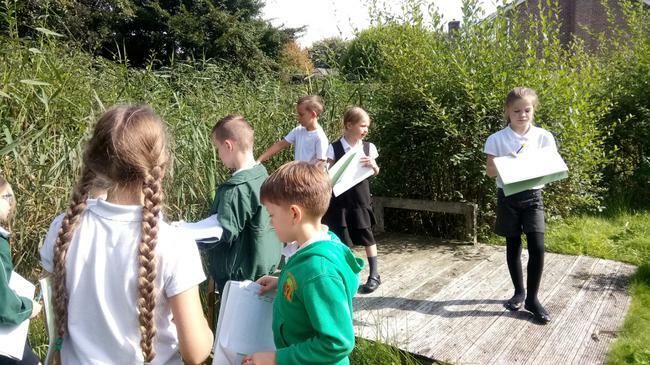 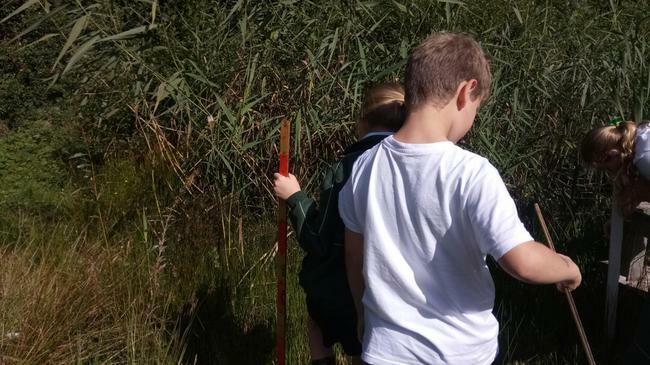 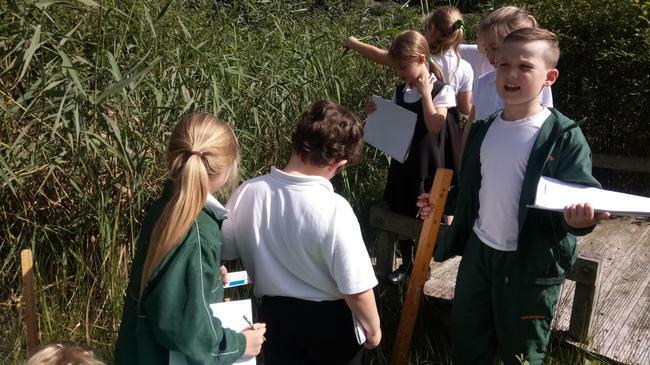 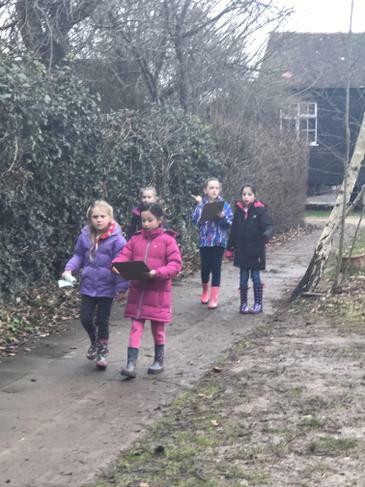 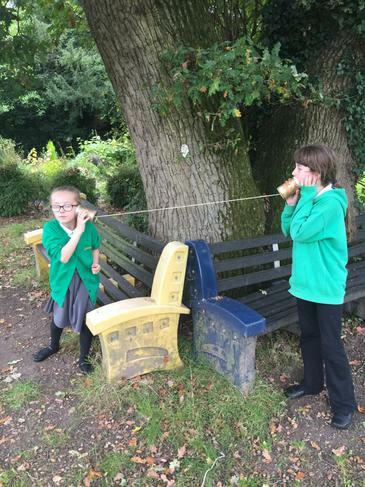 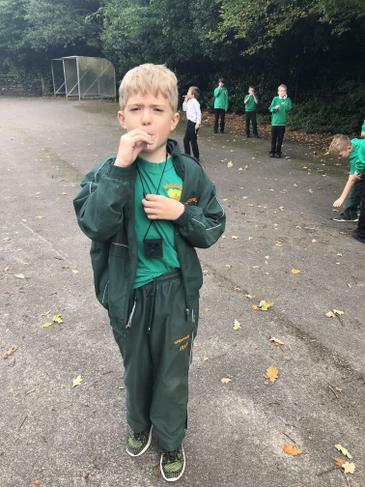 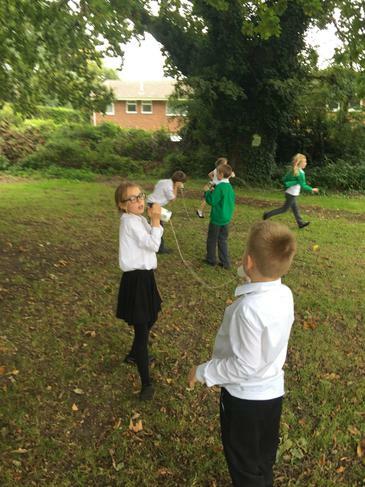 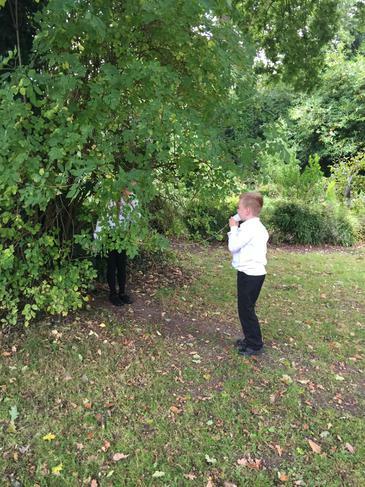 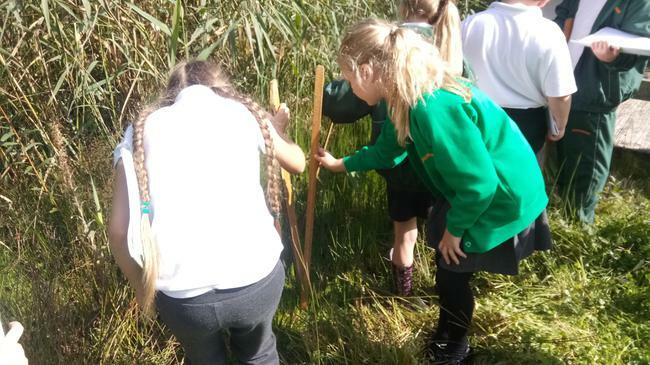 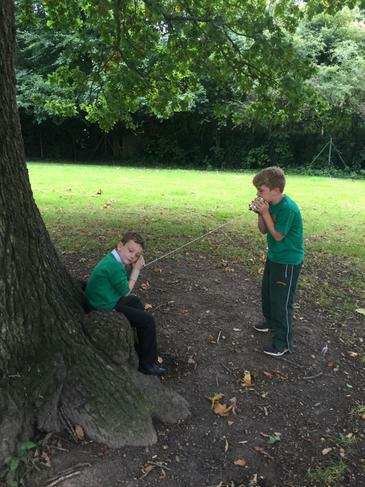 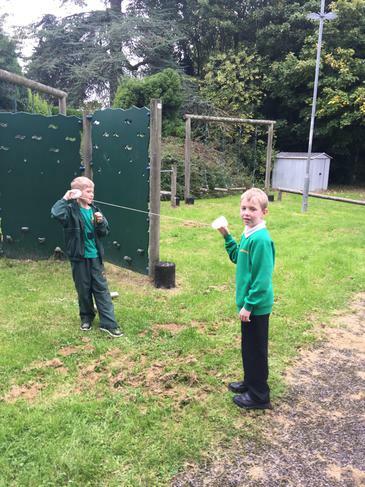 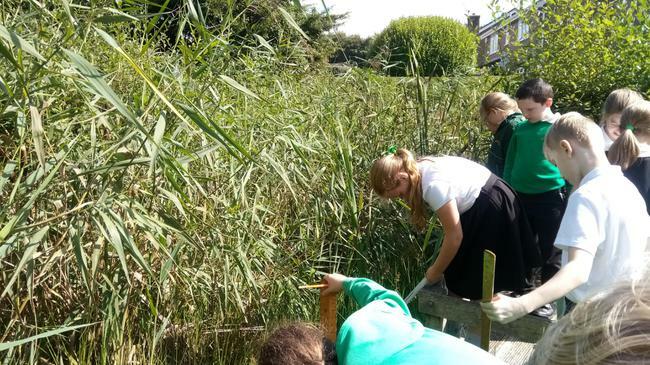 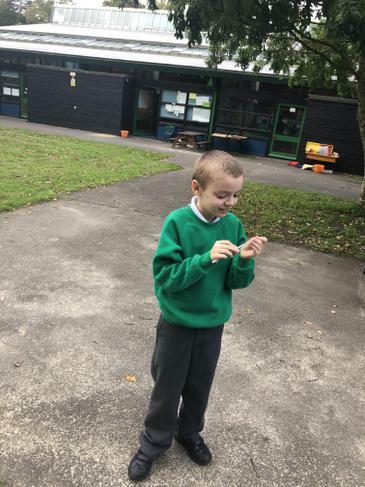 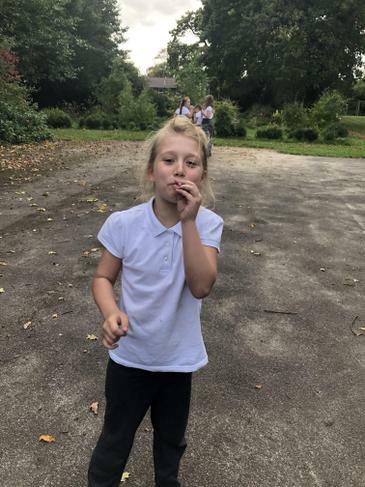 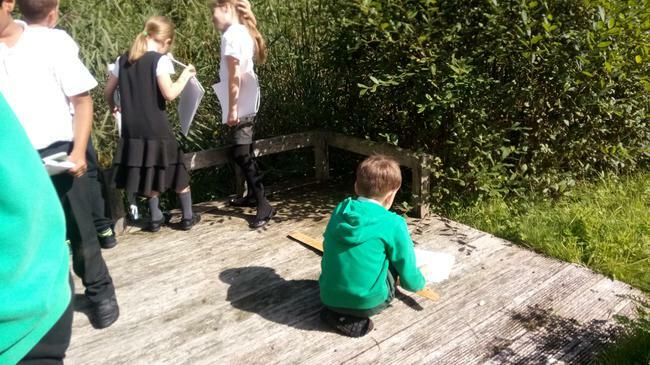 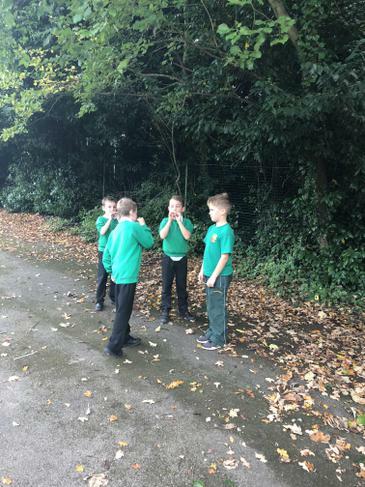 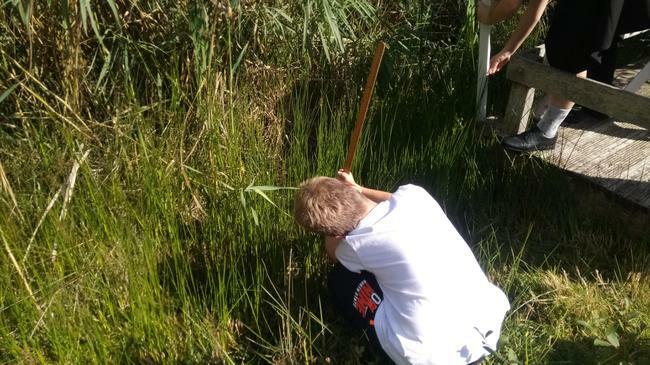 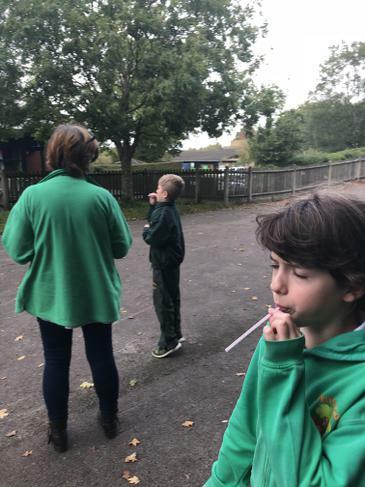 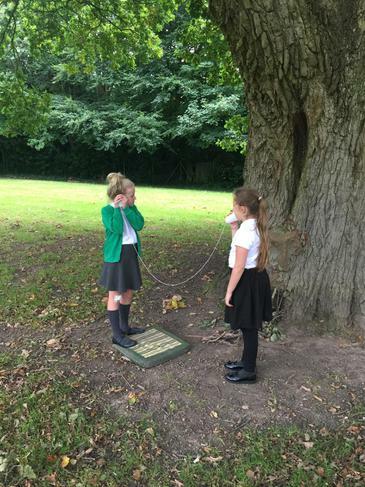 Year 4 have been searching for their class creatures, around the school grounds. 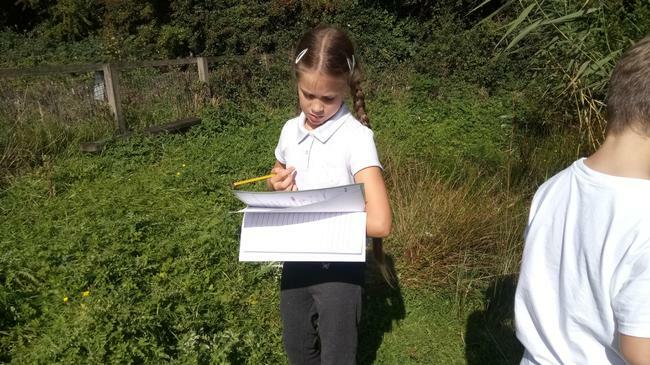 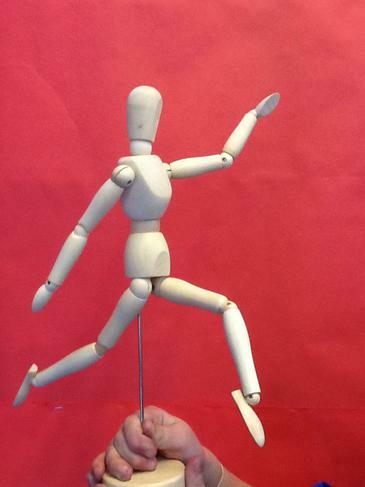 To keep track of the numbers of creatures, we have set up a study. 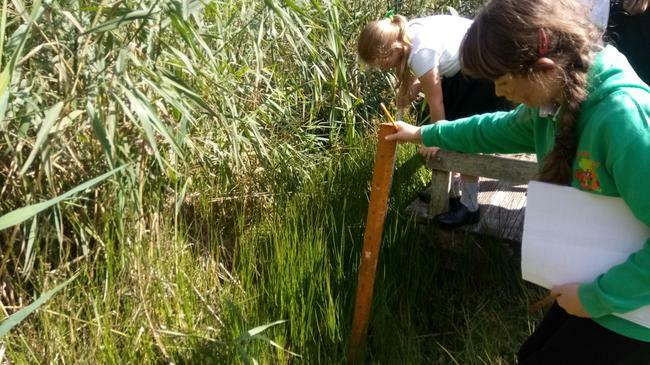 We have been considering a number of different factors that could change the number of newts and ants we see. 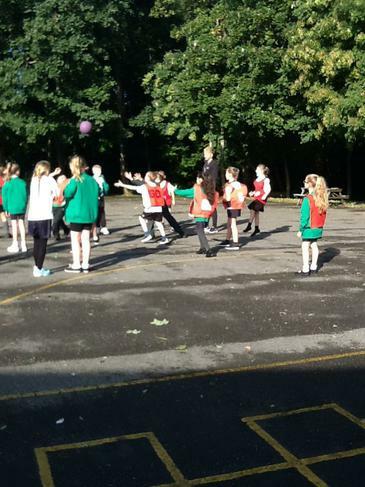 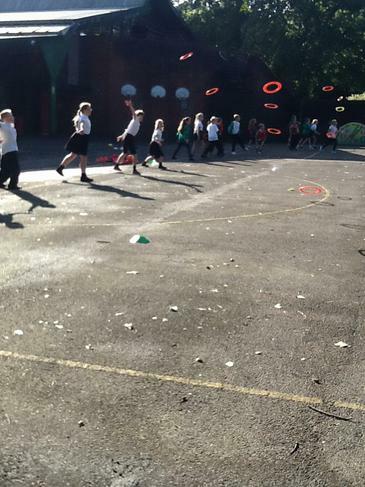 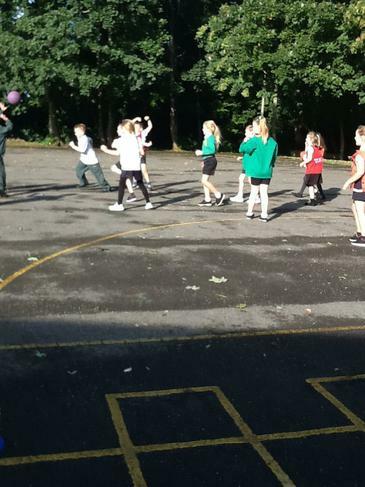 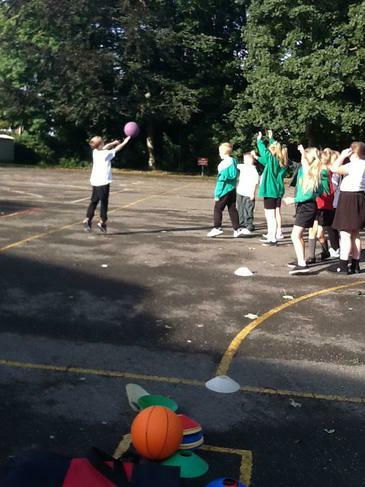 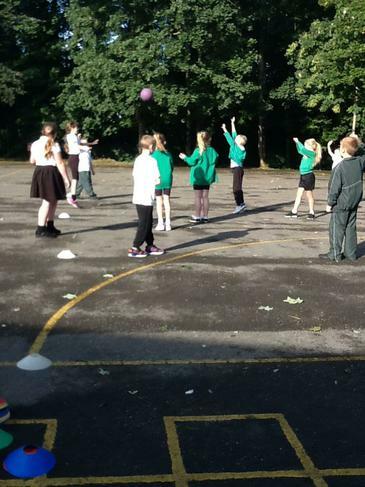 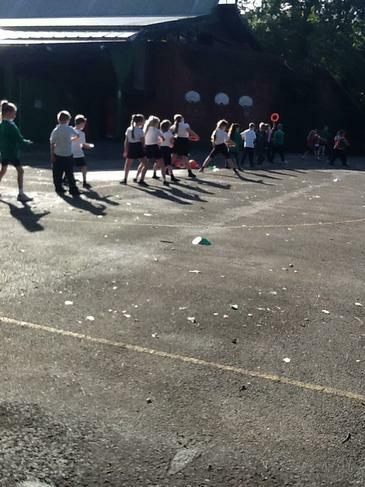 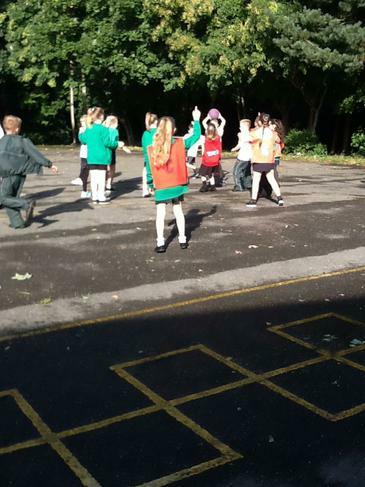 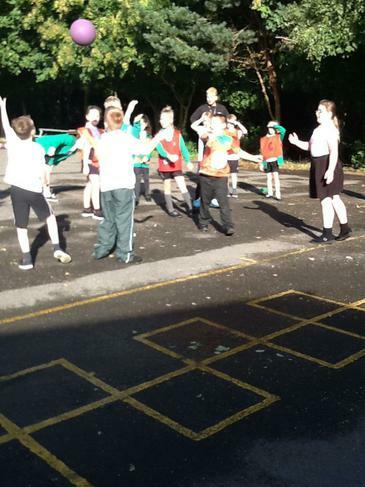 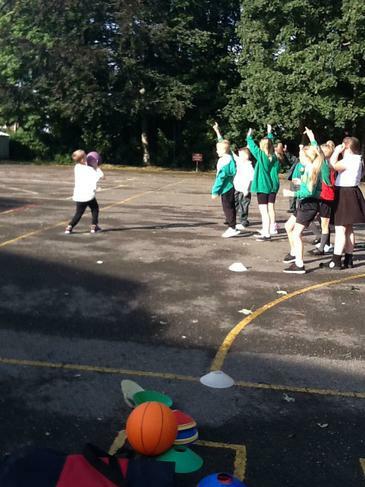 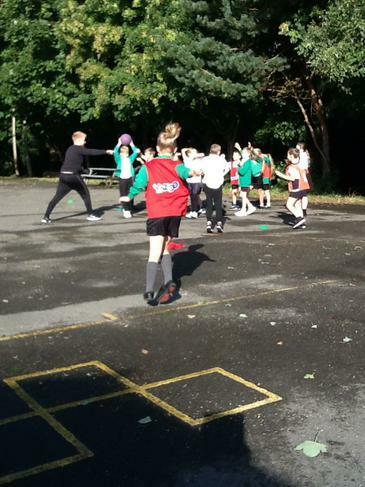 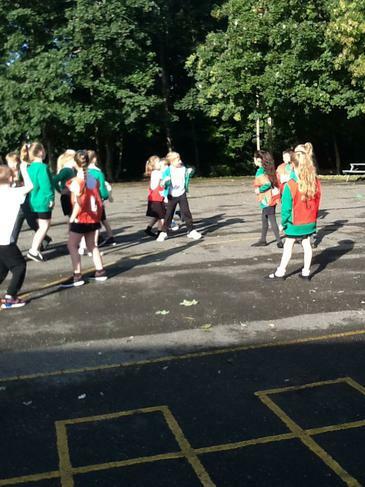 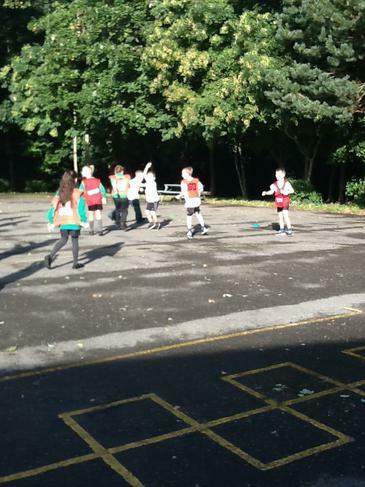 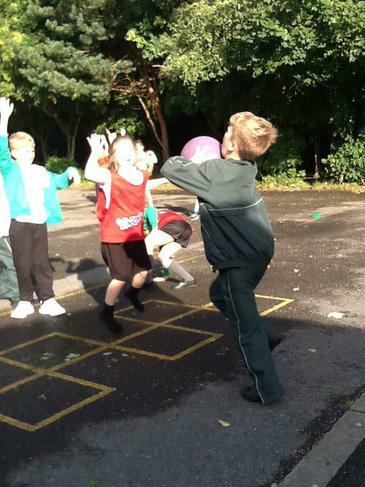 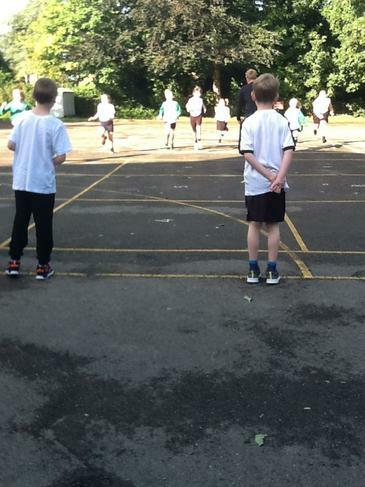 Year 4 have been learning how to play ultimate frisbee in PE. 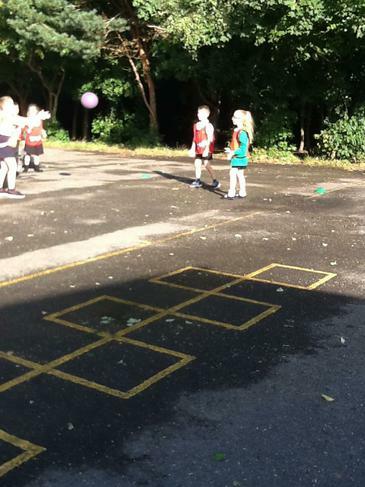 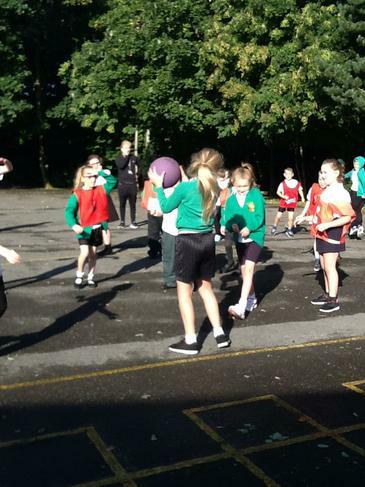 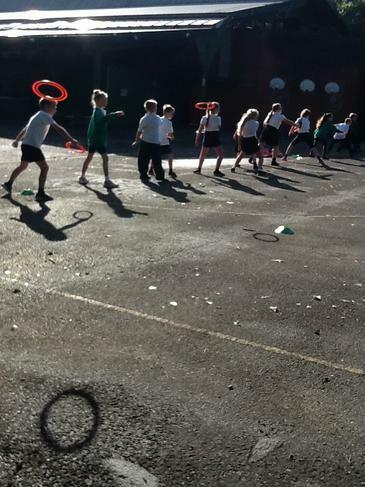 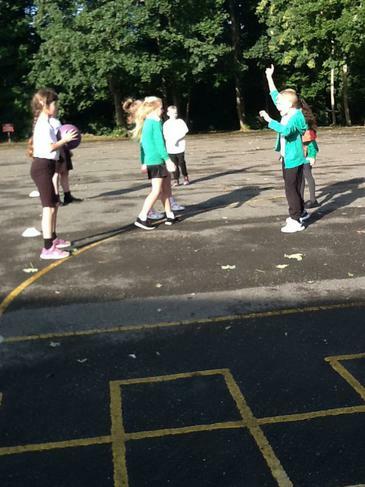 Firstly, they practiced the rules using a ball and then they learnt how to pass the frisbee correctly, ensuring they held it accurately and followed the rules of the game. 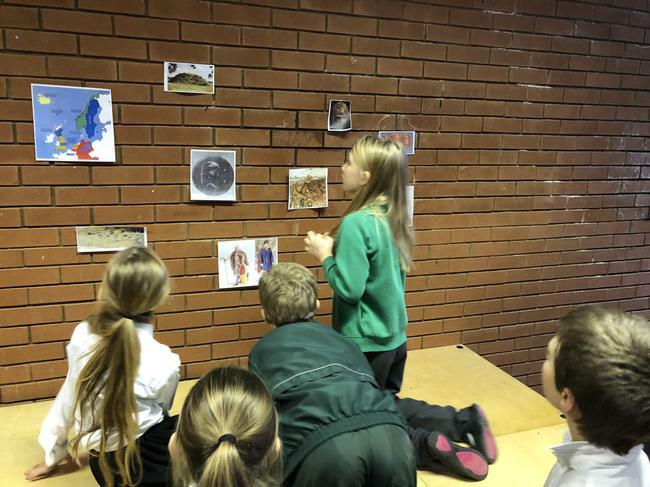 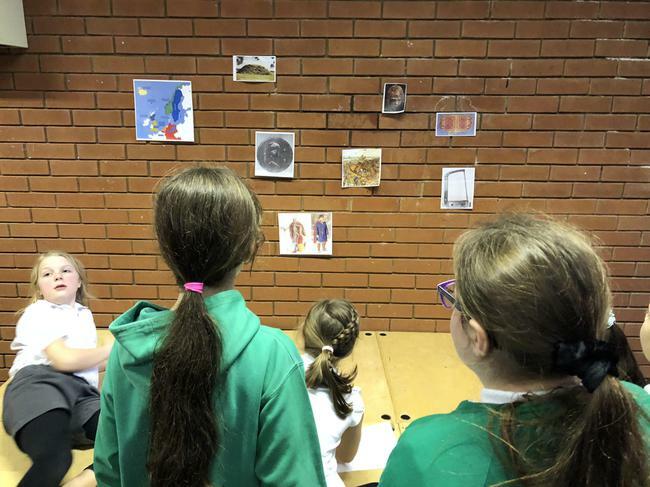 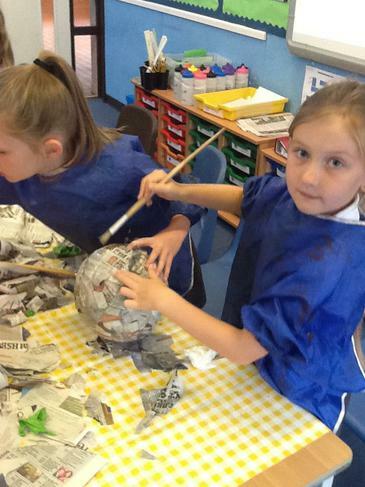 The topic for year 4 is Ancient Greek Pottery and pupils have been learning about how they show the different areas of life in Ancient Greek times. 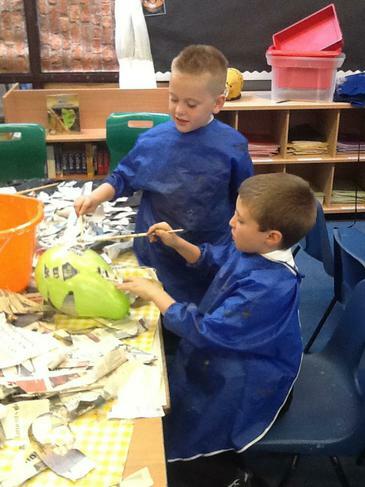 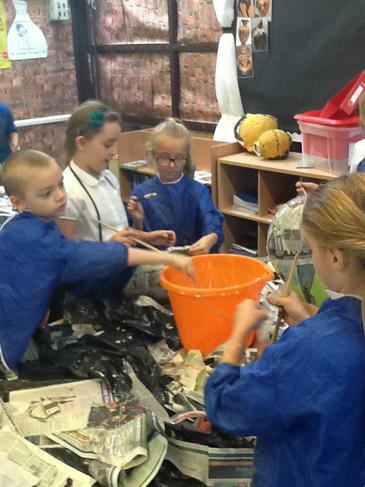 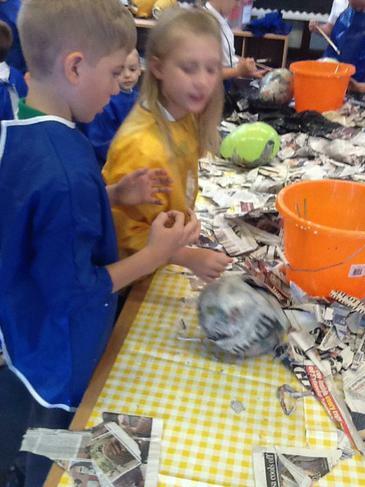 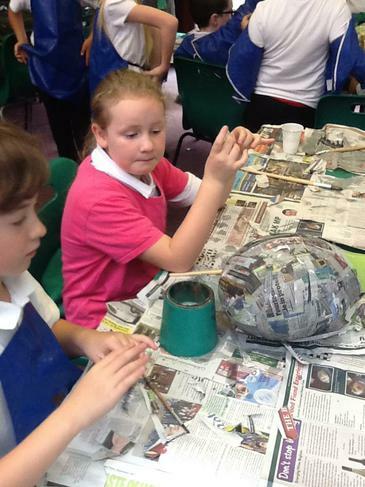 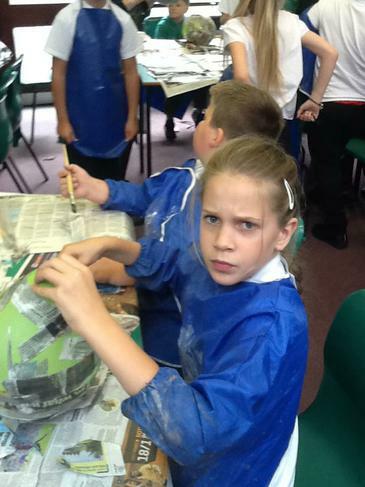 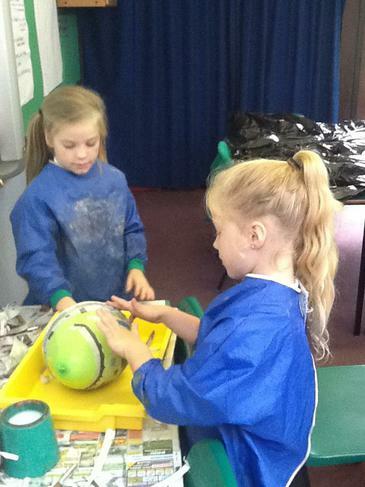 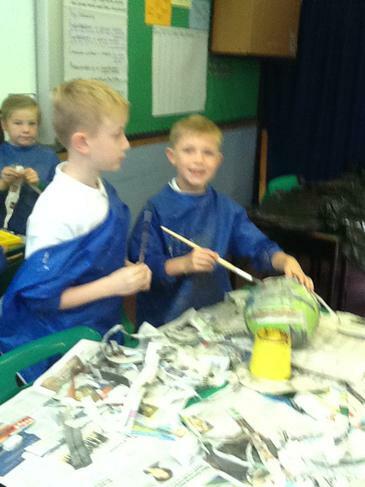 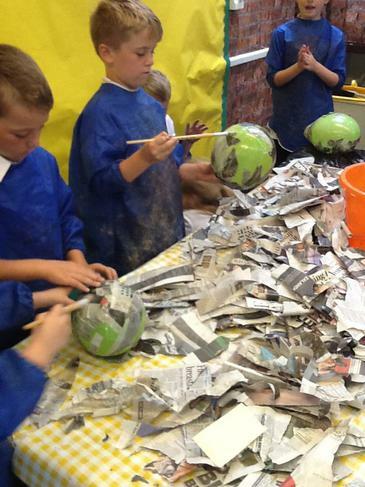 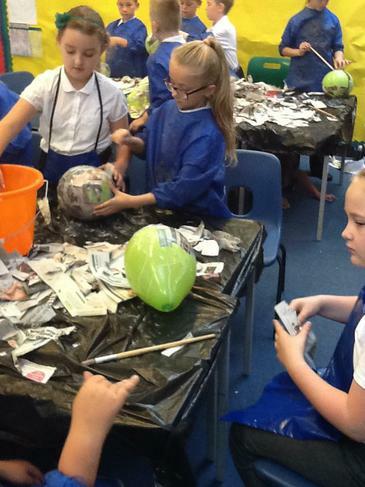 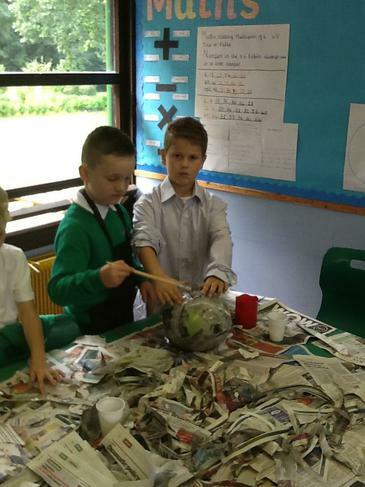 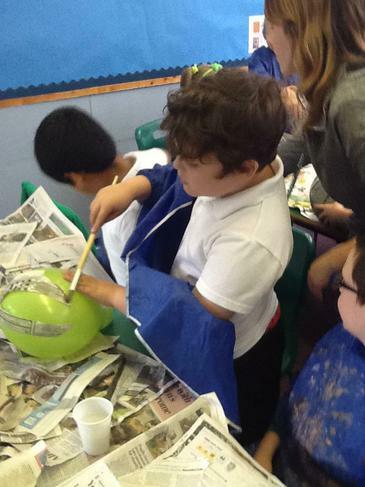 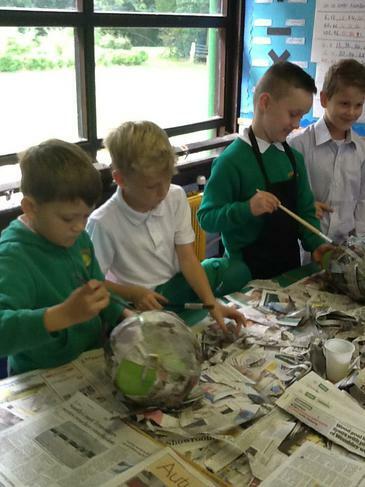 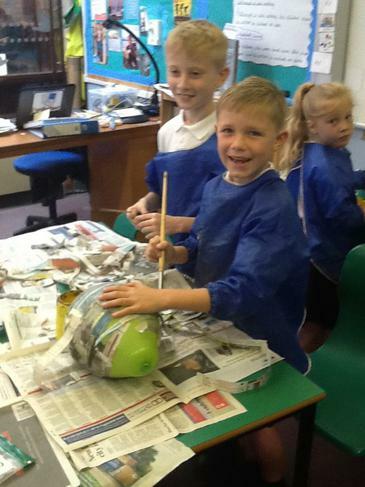 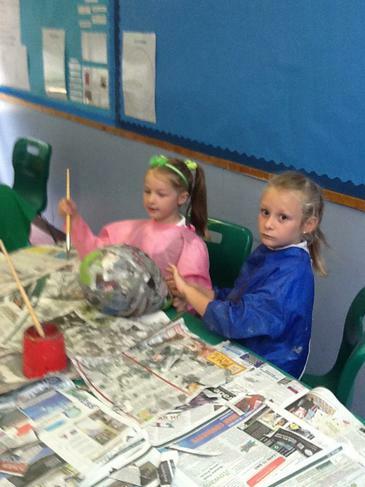 The pupils have designed and begun making their own Ancient Greek Pots in art.